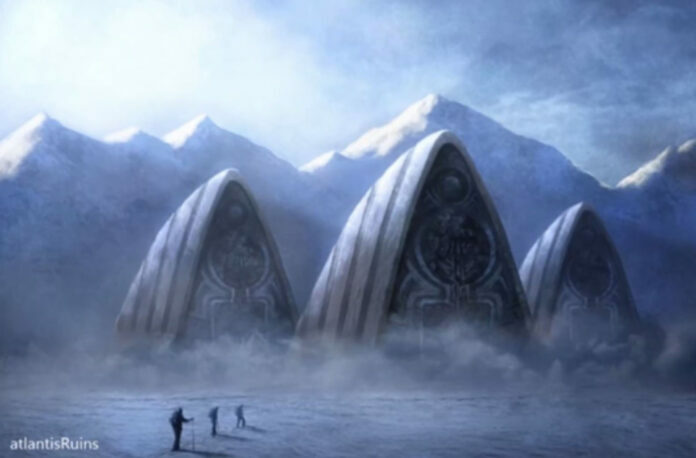 Rumors of a hidden city have been floating about for years, as conspiracy theorists and even some scientists claim the freezing continent is actually the home of the legendary Lost City of Atlantis. One scientific theory claims that once upon a time Antarctica was ice-free and home to an ancient civilization. The theory, called crustal displacement, alleges that movements in the Earth’s crust meant that large parts of Antarctica were ice-free 12,000 years ago and people could have lived there. Allegedly, a society could have existed ‘prehistory’, coming to an end with the last Ice Age which froze over the continent. And this could have been Atlantis, a mythical city founded by people who were half god and half human which was first mentioned by Greek philosopher Plato in 360BC. Speculation over the location of the legendary long-lost city is rife, with others believing it to have been near the Greek island of Santorini. 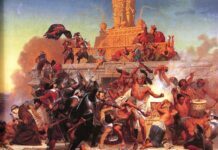 Antarctica’s secret city was apparently ‘”confirmed” by an ancient map called the Piri Reis map, compiled in 1513 from military intelligence. It appears to show the Antarctic coast hundreds of years before it was discovered, but was denounced by many scholars at the time.